Romance is in the air and you can feel it with every warm breeze coming off the Atlantic in Fort Lauderdale, Florida. This up-and-coming destination boasts Miami weather and beaches without the crowds and traffic. The beauty of this seaside city is that it appeals to couples in search of romance just as much as it appeals to families looking for a relaxing vacation and bachelor or bachelorette parties looking for classy fun in the sun. There’s a little something for everyone in the “Venice of America.” Whether you prefer cultural activities, the great outdoors or incredible food, Fort Lauderdale has you covered. 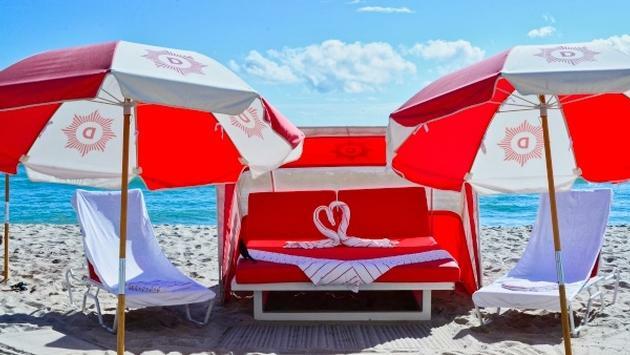 The Diplomat Beach Resort is a South Florida icon that draws in locals and visitors alike. Located in Hollywood, Florida, you’re within reach of both Fort Lauderdale and Miami but still tucked away from the action in your own tranquil oasis. From the moment you step into the lobby with palm trees grazing the glass ceiling, The Diplomat oozes Old Florida charm with a chic and modern twist. The newly updated rooms are decorated with turquoise and blue accents to reflect the colors of the sea and are a true haven to return to at the end of the day. The Diplomat Beach Resort can be a place to relax, indulge or play, depending on the occasion and your mood. Hours seemed to pass like seconds while I sipped a margarita and read a book in the poolside cabana. I noticed families splashing on the water slide together, bachelor and bachelorette parties preparing for their festivities, and happy couples soaking in the romantic setting. I couldn’t make up my mind between enjoying the gentle waves of the Atlantic or the view from the edge of the infinity pool so I simply switched back and forth until my hunger took me inside. Foodies will rejoice in the many and varied restaurant choices at The Diplomat. Enjoy seafood at Chef Geoffrey Zakarian’s coastal-inspired Point Royal, Japanese izakaya at Chef Michael Schulson’s Monkitail, or casual American eats at Bristol’s Burgers on the Intracoastal Waterway, just to name a few of the options. The Diplomat’s sprawling property plays the perfect host to bridal showers, wedding ceremonies and receptions of all sizes with multiple ballrooms, terraces, and oceanfront settings to accommodate groups of all sizes. History buffs unite! Bonnet House Museum and Gardens is brimming with stories from the past told through eclectic décor and art. Our energetic tour guide regaled us with tales of Frederic Clay Bartlett, the creator of Bonnet House, and his family. Their collection of art is rivaled only the by the beauty of the natural ecosystems preserved throughout the property. While we were there we saw the loveliest setup by Society Romance for a marriage proposal, complete with guitar music, champagne and a swan floating gracefully in front of the south pond pavilion. Bonnet House also makes a unique and beautiful setting for weddings and events of all kinds. Head to the heart of Fort Lauderdale and enjoy shopping, dining, culture and nightlife along Las Olas Boulevard. This thoroughfare stretches from A1A along the Atlantic to downtown Fort Lauderdale offering activities for families, couples and groups. Be sure to hit up the iconic Louie Bossi’s Ristorante, which boasts the best authentic Italian food in town. Great for a romantic dinner or a family meal, it also accommodates groups and events on the picturesque covered patio and garden out back, complete with a bocci ball court! If you walk one block over you’ll find Riverwalk Arts and Entertainment District, a stretch along the New River with a wide array of entertainment options such as an opera, theaters and art galleries. 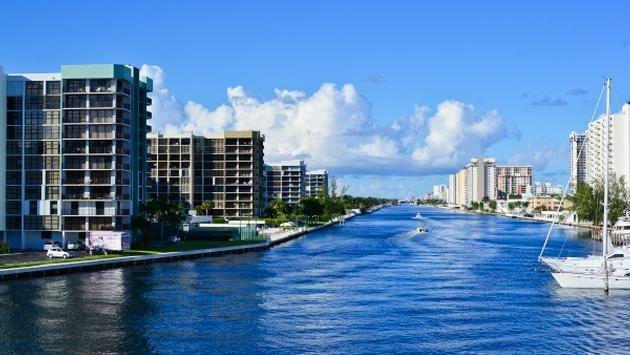 Fort Lauderdale is dubbed “The Venice of America” thanks to its myriad waterways winding throughout the city. The Intracoastal Waterway runs adjacent to the Atlantic with inlets, canals and rivers along the way. You can use the Intracoastal as a form of transportation with the hop-on-hop-off Water Taxi to stop at all of Fort Lauderdale’s top destinations and restaurants. Another option is to relax and enjoy the view on a sightseeing cruise or tour such as the Jungle Queen Riverboat Tour. Many groups charter their own boat or yacht for private events such as weddings or social events through Charter One Yachts. Smaller and more casual gatherers can rent or charter boats for exploring the many waterways of Fort Lauderdale on their own. 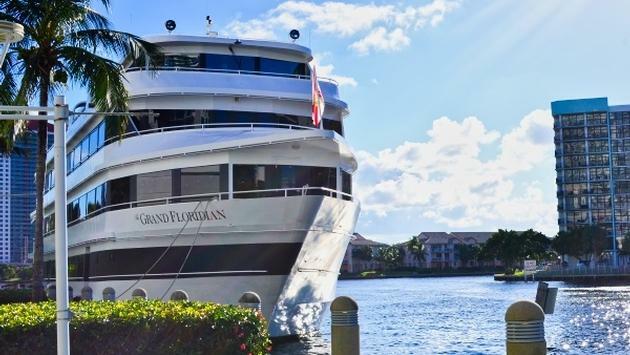 Most restaurants along the Intracoastal offer free docking, so you can pull right up to your eatery of choice for a meal and a drink before heading back out on the water. Shooters Waterfront is one such restaurant with casually elegant al fresco dining. While we were dining there we saw a group enjoying a rehearsal dinner and drinks before boarding their chartered yacht, and another party sharing an intimate wedding reception with a cake made right there at Shooters. Florida Beach Wedding makes the entire wedding planning experience stress free whether you're a local celebrating with friends and family at Shooters or you want the destination wedding of a lifetime. We got a peek at their handiwork as our table was adorned in the most creative beach chic decor. It was such a romantic and unique centerpiece option. Florida Beach Wedding handles everything from flowers to music to photography and beyond. 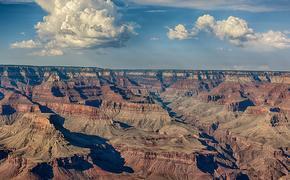 For outdoor lovers, Hugh Taylor Birch State Park is the destination of choice. Kayaking, stand-up paddle boarding, biking and hiking are just the tip of the iceberg when it comes to experiences and activities. When you’re done breaking a sweat, grab a refreshing craft beer from Park and Ocean, a restaurant in Birch State Park with oceanfront views. There is so much culture and history in Fort Lauderdale, but sometimes all you want to do is relax on the beach. These clean and vibrant beaches invite visitors to engage in water sports, swimming, snorkeling or simply playing in the soft golden sand. The highlight of Fort Lauderdale’s beaches is the beautiful new promenade paved with bricks and separated from the shore by the white wave wall. 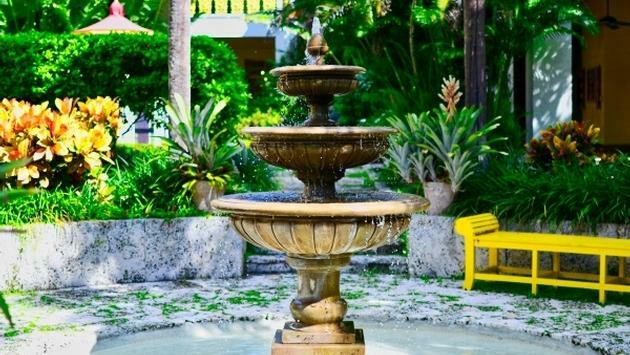 It’s the perfect spot for a romantic stroll or a classic Fort Lauderdale photo opp. Gone are the days of college parties and spring breakers. This emerging South Florida city now draws in families, couples and wedding parties of all kinds. 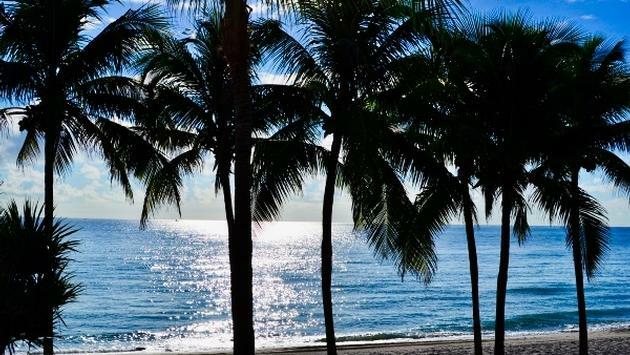 If you’re searching for the perfect warm-weather destination for a getaway or special event, Fort Lauderdale awaits your arrival.